May 17, 2017 (Ulson Gunnar - NEO) - Some 300 US Marines are once again being deployed to Helmand province, Afghanistan after upward to 20,000 US Marines had spent between 2009-2014 attempting, but clearly failing to secure the province for the US-installed client regime in the nation's capital of Kabul. 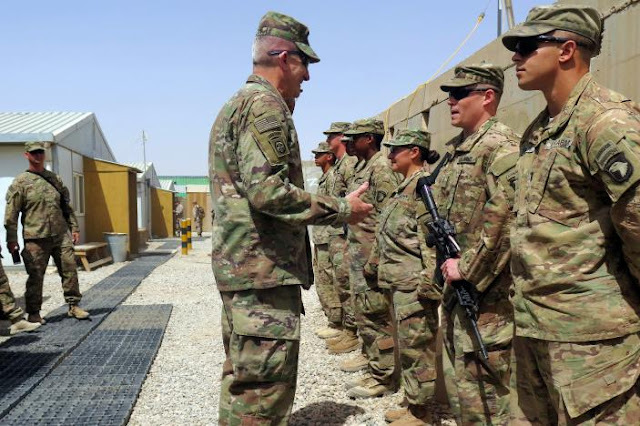 The latest deployment of US forces in Afghanistan after allegedly "ending" combat operations and the "Afghanistan War" in 2014, exposes several realities surrounding US foreign policy that directly conflict with the political narratives emanating from Washington. The United States and members of its coalition involved in the invasion and now 16 plus year occupation of Afghanistan have not in fact ended the war, let alone won it. The fact that entire districts, and even provinces remain beyond the control of America's client regime, and even those that are under Kabul's control remain contested, reveals an ongoing conflict with little prospect of ending. Fighters resisting the US occupation and the US-backed client regime have established networks that extend beyond Afghanistan's borders far from where US forces can reach. Afghanistan's neighbors have attempted to broker practical peace deals between groups like the Taliban and other factions within Afghanistan's patchwork of tribes for the sake of long-term stability, undermining entirely the artificially imposed political order the US has attempted to create and maintain. Attempts at "nation building" have failed, with foreign contractors and nongovernmental organizations (NGOs) seeking to profit from their activities within Afghanistan with little to no genuine interest in a collaborative and fundamentally constructive effort to develop the nation. Attempts to build up local Afghan governance and military forces have also failed because of a fundamental disconnect with American objectives and the actual aspirations of the people the US is attempting to impose its version of governance upon. The Marines’ new mission is a difficult one: to assist and train Afghan soldiers and police to defend the provincial capital. The Taliban control seven of the province’s 14 districts and are encroaching on five others. The government fully controls just two, local officials say. The process of US Marines taking and holding towns, cities and districts only to have them fall immediately back into the armed opposition's hands after withdrawing is a familiar one for US foreign policy. It is the same process that played out repeatedly in Southeast Asia as the United States struggled to impose its political will upon the people of Vietnam. Ultimately the US conceded defeat in Vietnam with the nation then able to determine its own future for itself. Fear-mongering over the consequences of a communist Vietnam creating a cascading effect across all of Asia and placing entire nations under the control of the Soviet Union and communist China were revealed as unfounded. The people of Vietnam were just as adamantly opposed to being dictated to by their Asian neighbors as they were by French and American invaders. The War Has Nothing to do with "Terrorism"
The entire premise for the initial invasion of Afghanistan was fighting terrorism. Predicated on the attack on September 11, 2001 in New York, Washington D.C. and Pennsylvania which cost nearly 3,000 lives and blamed on Al Qaeda, the invasion of Afghanistan was meant to strike at the senior leadership of the terrorist organization, including Osama Bin Laden. Instead, from the beginning, the US invasion focused almost exclusively on regime change, targeting the ruling Taliban, not Al Qaeda. The invasion and toppling of the Taliban government transformed into a protracted occupation and counterinsurgency as the United States struggled to assert its political order via a supremely corrupt and incompetent client regime residing in Kabul. 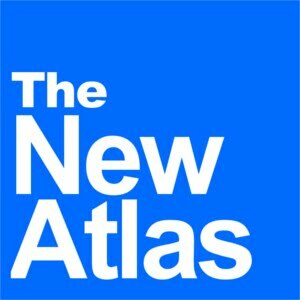 And while time to time news stories would circulate regarding alleged US military operations targeting Al Qaeda, it is clear, specifically with the most recent deployment of US Marines to Helmand, that asserting, reasserting and struggling to maintain control over the Central Asian state remains America's primary objective. In fact, within the body of the New York Times' nearly 1,000 word article regarding the return of US Marines to Helmand province, Al Qaeda and "terrorism" weren't mentioned once. 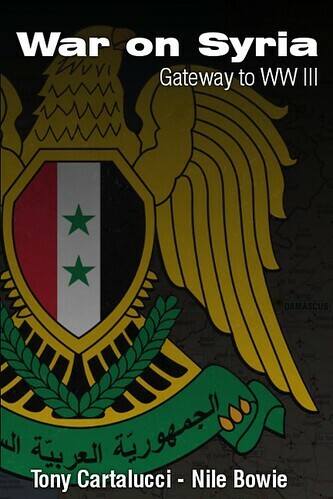 Sadly, actual terrorists, including Al Qaeda itself, have been intentionally bolstered by the US and its allies, specifically in Syria where weapons, training, money and other forms of material support are being funneled into their hands to carry out regime change by proxy against Damascus. The common denominator defining US foreign policy appears to be imposing Washington's political will upon nations and regions, with terrorism serving as the most tenuous of excuses, and at other times, being used explicitly as a tool to carry out US foreign policy. But the biggest challenge for the Marines will be to help Afghan forces regain territory and hold it. Abdul Jabar Qahraman, President Ashraf Ghani’s former envoy in charge of operations in Helmand, said that for a long time the people of Helmand had sided with the Afghan forces, but that the government had repeatedly failed the civilian population and “left them handcuffed for the brutal enemy.” He said he expected that the Afghan forces would struggle to regain the population’s trust. It is clear that the problem is not just the "Taliban," but rather the United States' entire agenda, not only in Helmand province, or even in Afghanistan, but overseas in general. It is attempting to impose a self-serving political order that suits its sociopolitical and economic interests at the cost of peace, stability and security for entire regions of the planet. Its presence in Afghanistan and the proxies it has established to administer the nation to serve Washington's interests are admittedly unwanted by the very people being administered. 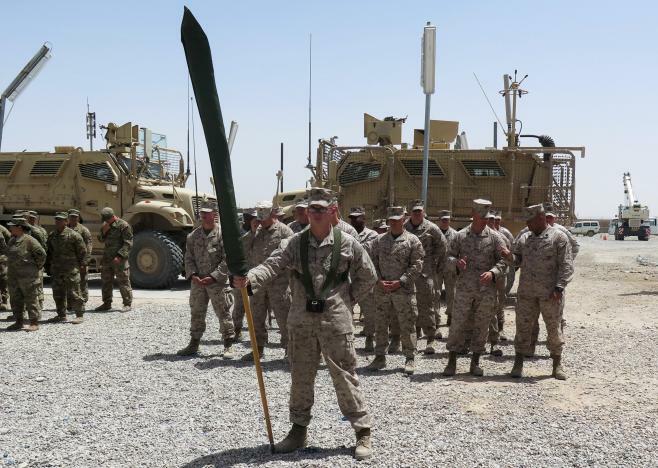 The 300 US Marines who have dutifully deployed to Helmand will once again risk life and limb for a nebulous objective serving a geopolitical agenda divorced from the best interests of both the American and Afghan people. Far from enhancing the national security of the United States, the costly, protracted occupation of Afghanistan is demonstrating tactical and strategic weakness, geopolitical ineptitude and exposing the dangerous shortsighted greed that drives US foreign policy at the cost of long-term, rational planning and implementation. What 300 US Marines are supposed to accomplish that 20,000 couldn't years before with a much larger NATO force supporting them is difficult to discern. Like during the late stages of the Vietnam War, it appears that US foreign policymakers are designating these US Marines as the "last to die" in Afghanistan for the sake of "saving face," though 16 years onward and with the state of Afghanistan as it is, there is little left to save.